NICKEL PLATED STEEL SUPPORTING SLAG GLASS ILLUMINATED BY DIMMING LED. 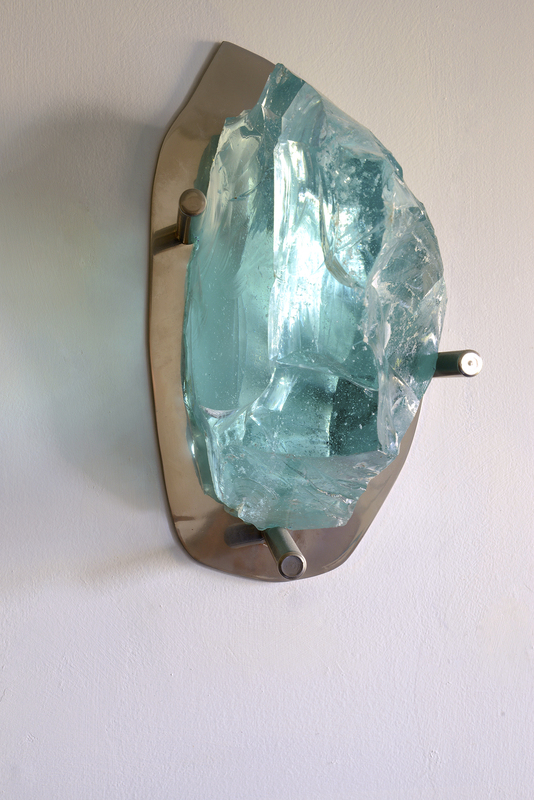 EACH SCONCE IS DESIGNED AND HANDMADE FOR THE INDIVIDUAL CLIENT. 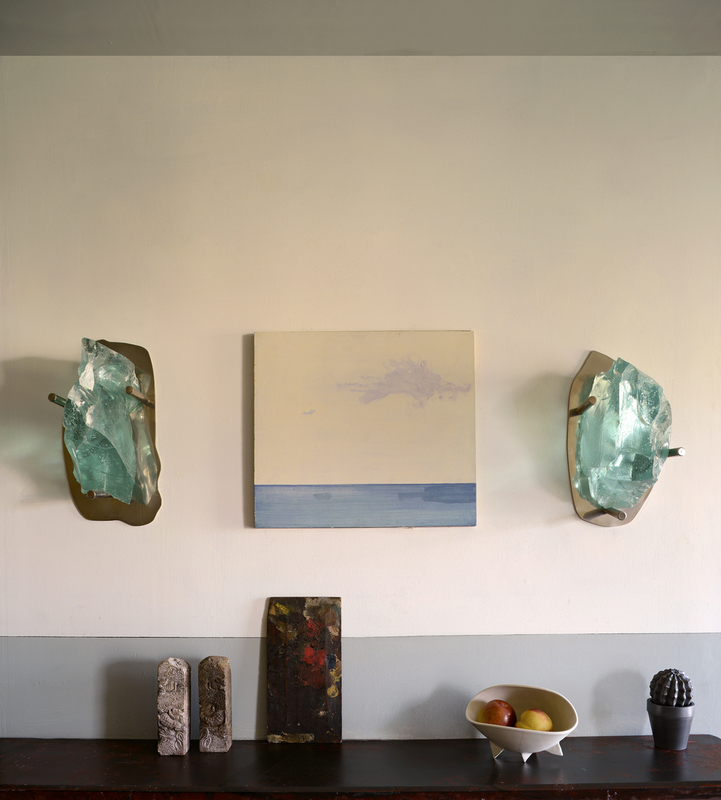 WE INVITE YOU TO SCHEDULE A STUDIO VISIT TO SELECT YOUR STONE AND SETTING. OFFERED IN BRASS, NICKEL-PLATED STEEL, SILVER-PLATED STEEL AND GOLD-PLATED STEEL.